Based on analysis of long-running panel surveys in Germany and Australia, we offer a revised assessment of the relationship between subjective well-being (happiness, life satisfaction) and longevity. 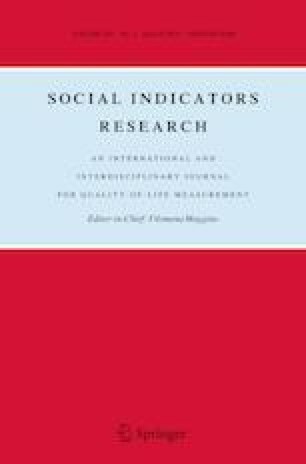 Most previous research has reported a linear positive relationship; the happier people are, the longer they live (Diener and Chan in Appl Psychol Health Well-Being 3:1–43, 2011. https://doi.org/10.1111/j.1758-0854.2010.01045.x). Results from these two panels indicate that, if a linear model is assumed, the standard positive relationship between life satisfaction and longevity is found. However, an alternative viewpoint merits consideration. It appears that the relationship between happiness and longevity may be non-linear. The evidence is strong that unhappy people die young. Otherwise, across the rest of the distribution, happiness appears to make no difference to longevity. Our findings are consistent using alternative methods of estimation, and are robust with or without controlling for a range of variables known to affect longevity, including socio-economic variables, behavioral choices (e.g. exercise, smoking) and health status. The German panel data used in this publication were made available to us by the German Socio-Economic Panel Study (SOEP) at the German Institute for Economic Research (DIW), Berlin. The Australian panel data came from the Household, Income and Labour Dynamics in Australia (HILDA) Survey. The HILDA Project was initiated and is funded by the Australian Government Department of Social Services (DSS) and is managed by the Melbourne Institute of Applied Economic and Social Research (Melbourne Institute). The findings and views reported in this paper, however, are those of the authors and should not be attributed to DIW, DSS or the Melbourne Institute. National Institute on Aging. (1996). Landmark study links cognitive ability of youth with Alzheimer’s disease risk later in life. U.S. Department of Health and Human Services. Accessed Sept 5, 2017, from archive.hhs.gov/news/press/1996pres/960220b.html.